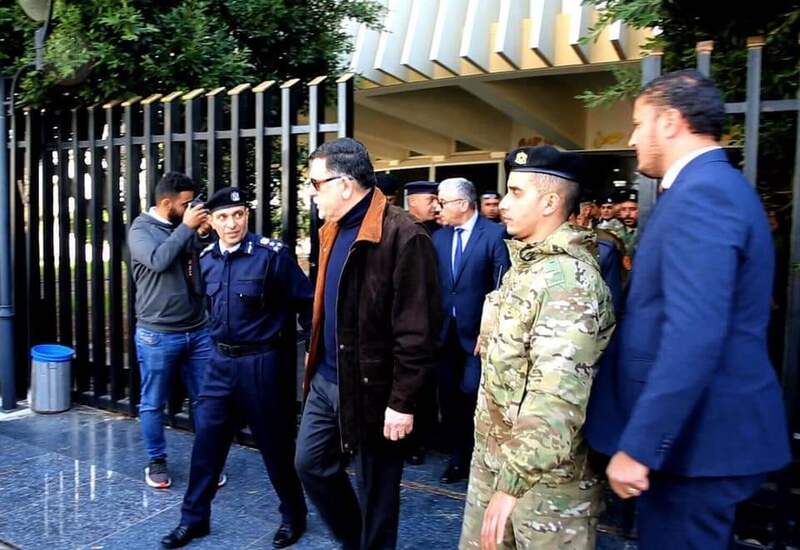 PC/GNA head Faiez Serraj visited the Tripoli International Airport site on Sunday after the Tarhuna-based militias were repulsed south by the coalition of Tripoli-based militias (Photo: PC). Faiez Serraj, head of the Presidential Council and Government of National Accord (PC/GNA) and his Interior Minister, Fathi Bashagha, visited the Tripoli International Airport site Sunday in a choreographed show of strength. The PC/GNA Media Department reported that they were briefed on the airport facilities during a tour of the construction site, with the heads of the Tripoli, Central and Western Military Zones and a number of leading echelons in the security sector. Interior Minister Bashagha was quoted as saying that his Ministry was determined to implement the security plan inside the capital and its suburbs. 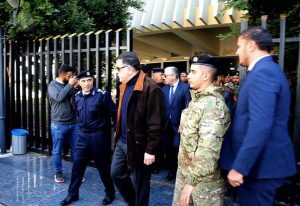 And in a show of determinaion to impose its will an its revived “Security Arrangements”, the PC/GNA’s Bashagha was reported to have instructed his Director of the General Directorate of Central Security to secure the airport site and the surrounding areas of Tripoli International Airport and coordinate with the security directorates of Greater Tripoli, following the recent clashes in the area. Meanwhile, in a sign of a return to normality to the area, Gaser Ben Ghashir Municipal Council announced the resopening of schools and work in all municipal institutions as of Sunday, except for schools located in the areas Sug il Sibt and Marazeeq due to remnants of the fighting (UXO).